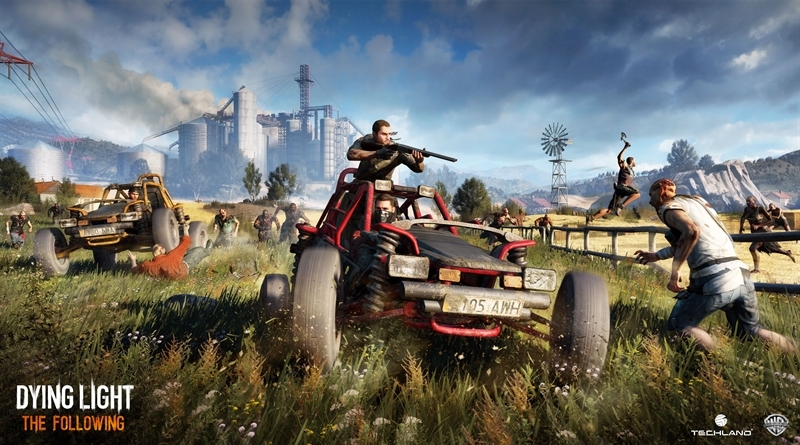 Dying Light is an action zombie survival and open world parkour video game. 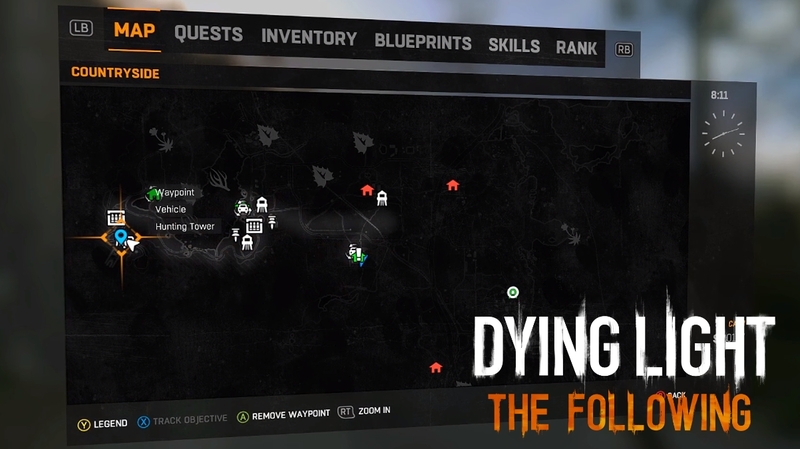 A new expansion / DLC is released for the game named as Dying Light The Following and it just provide the players with whole new level of adventure with zombie survival and action packed experience. Dying Light the following includes new weapons and other items, and not only this but this package also contains other epic bundles and packages such as Be the Zombie, Ultimate Survivor Bundle, Cuisine and Cargo, The Bozak Horde and you can also travel past the Walls of Harren to explore a dangerous and vast new region. 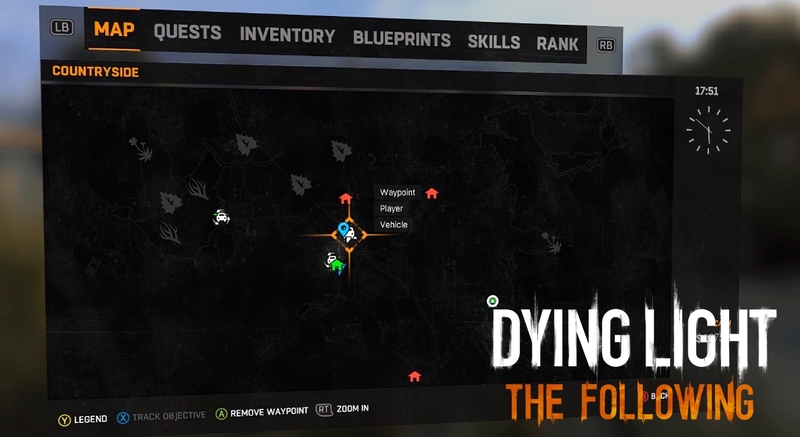 In Dying Light The Following you will also get outstanding quests and missions, dirt buggies which are fully customizable and new deadly weapons such as Bow, Crossbow and other amazing weapons. For now we are just focusing on Bow and Crossbow, and we will share this information with you so that you can easily find these awesome weapons as early in the game as you can. If you played the Dying Light before you may know that there was actually bow in “The Bozak Horde” DLC but that was not good enough and you can not do much with that weapon. But these two bows are pretty decent and you can get these weapons really early in your gameplay which is another great thing. So let’s get back to business, first we’ll recover the “Bow” from the location as described in the below picture. The Bow is located in this spot up on the hill in the tower which you can climb pretty easily with the grappling hook. In the tower you will find Bow and arrows, pick them up and select as weapon and there you go with nice looking Bow and arrows! Second Weapon is “Compound Crossbow” which you can find in the orange car of the train at the location specified in the below picture. Near this orange car you will find some dead monster laying around with steal bolt arrows, pick all these arrows and there are some in the orange train car too where you will find the “Compound Crossbow”. With the “Compound Crossbow” there is also a blueprint to craft steal bolt arrows for this crossbow don’t forget to pick that up too! And that’s it guys, if you still do not know how to recover these weapons and find it difficult to find the secret location of these weapons here is a quick video walkthrough for you guys made by Maka91Productions, I hope you enjoy this video and easily find these weapons. If this guide is of any help to you please share it with your friends.